The Master Gardener Program is sponsored by Washington State University Extension. Volunteers are trained to solve gardening problems and give WSU research-based advice to the public. Our volunteers staff regularly scheduled plant problem diagnostic clinics in many locations during the gardening season, helping people learn to garden more productively. In addition, they staff a year round clinic at the extension office where you can bring your gardening problems. 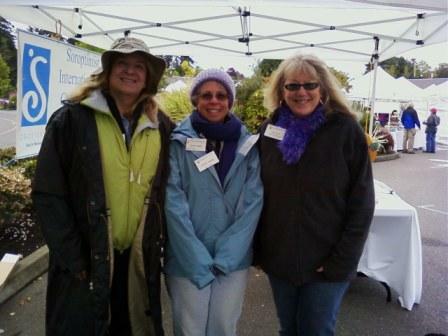 Learn how you can become a Kitsap County Master Gardener volunteer. More Information.